One of the main responsibilities you have to fulfill as an SMSF trustee is to make sure that you audit your funds and accounts every year as required by the ATO and the Australian government. We hope you are aware that it will incur huge penalties if you do not audit. To top it all, audits can really be filled with hassles here and there. Here if something goes wrong somewhere, it can go very wrong. So, what can you do to prepare for a hassle-free SMSF Audit? Hiring the right auditor can be a bit of a complex tax because you need to find an auditor who is truly efficient and the one you can trust. 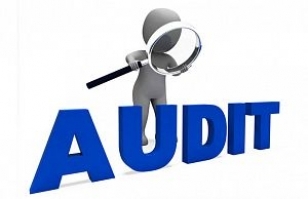 But the task of choosing an auditor can be a double-edged sword as everyone knows that you or your close relative cannot audit your files, hence you will need an auditor who is truly licensed. Hiring a person who is not registered or not well acquainted with the system of super can land you in hot soup. Finally, auditors should not be a close relative of the superfund’s trustees. Here is the best way to prepare is to store all your receipts, documents, records intact and most importantly keep them well organized. If you do not follow this, you might have to burn the midnight oil to cope during the audit. Once your audit gets over your auditor will report to you and other trustees of the SMSF fund with the audit findings. Though these findings do not have to be reported to the ATO it has to be done at some point in time as it will help you inform your annual return and the like to ATO. If your auditor finds that you have not complied with the law or finds that something is not well with your fund, he will immediately report the same to ASIC and ATO for further examination. An audit is not only required by the law but also it will help you and your fellow trustees, how healthy does your SMSF is or how depleting it is. Using the findings you can manage your funds in a better fashion in case you find them underperforming. You and all other trustees must be provided with the auditor’s report; and the same should be provided to your financial adviser or accountant. You might have heard auditors claiming that they can help you get away with all the flaws in your documents by breaking the law; blindly say no to these auditors who give you false hopes. You will have to face huge penalties, if you take the bait. These penalties include education to criminal or civil convictions. Depending on the degree of the offence you make, the punishments will differ. Some minor offences will involve an educational course on how to manage your SMSF best by ATO. But more severe offences are reported you will have to face more serious punishments like losing the entirety of funds, assets getting frozen, or even lose your status as trustee. Make sure that you submit your returns on time with accurate audit findings. Want to learn more about SMSF audits then ring us at +61 3 9034 9709.